Since Aliza is now just over six months old, I thought I would share a picture of her and a couple of pictures of her parents and grandparents when they were each about six months old. 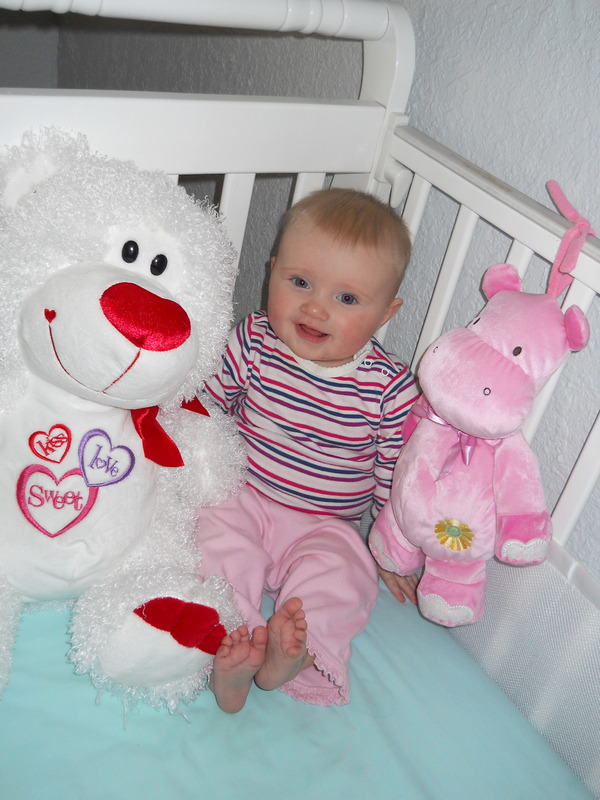 This photo of Aliza was taken to celebrate her 6 month mark. Now, photography and many other things have improved and progressed quite a bit from early 1986, 1980, 1963, and 1961, when these photos below were taken. First are pictures of me. 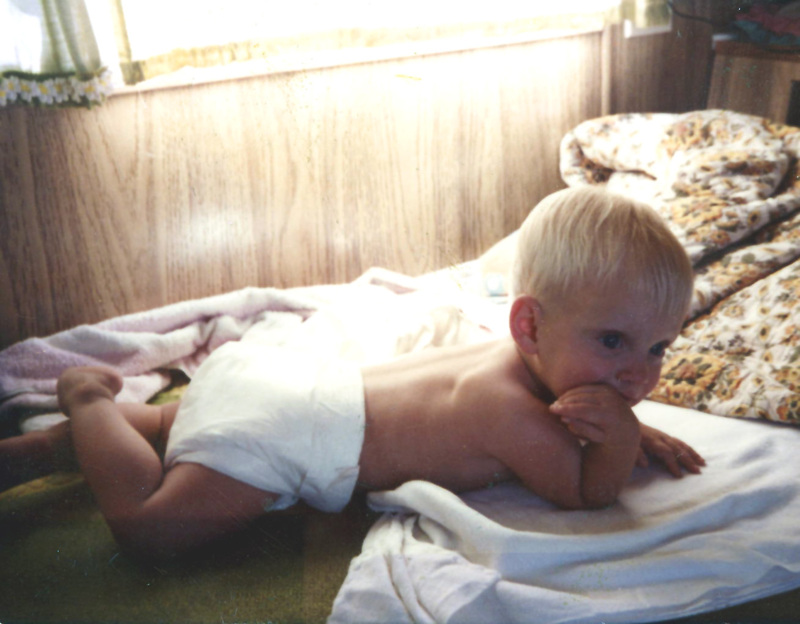 Our little family was living in Leefe, Lincoln, Wyoming in a trailer house on a mining job site. Either way, you can take a look at some of my facial features and compare them to Aliza. As you can see, there are quite a few differences. I think Aliza is taking more and more features of her mother than me. However, the blue eyes are coming through. If there was a feature to pass on, I think that would be it. 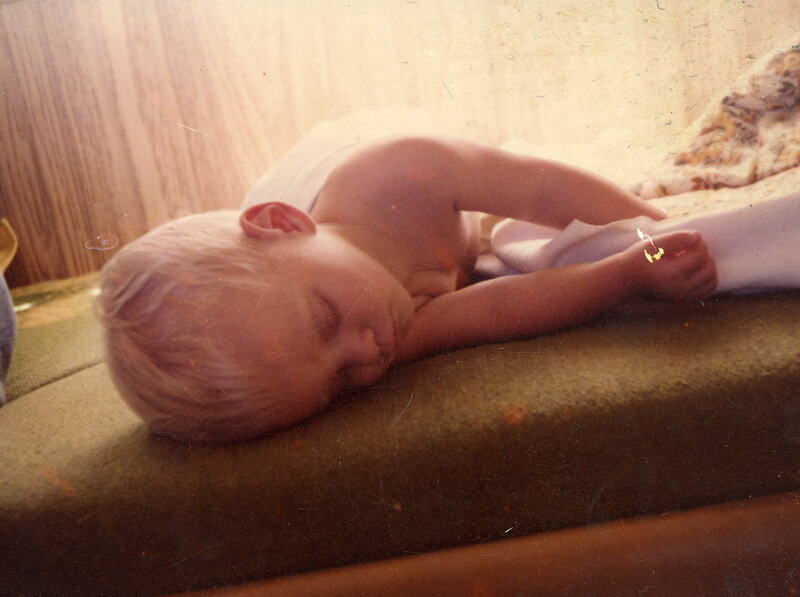 Now that you have seen a couple of pictures of me from a similar age, look at this one of Amanda. You can definitely see more features that are similar with this photo of Amanda. Aliza does not have those ears though! We just could not figure out where the shape of Aliza’s head is coming from. I think I may have figured it out. 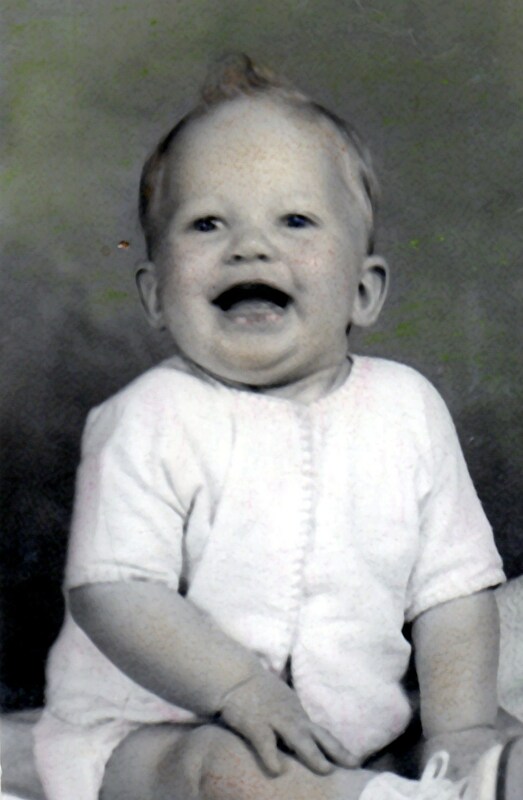 Look at this picture of my Dad as an infant probably somewhere around 4 or 5 months old. Aliza’s round head and the hair line is more reminiscent of my Dad. The furrows in the brow remind me of my nephew and some other pictures of my Dad, so I think the way Aliza furrows her forehead is from my Dad. I also think this is where Aliza gets her ears. Amanda insists that Aliza’s smile comes from her. At certain times when Aliza smiles though, I see my Aunt Jackie’s smile. The smile is also my Mom’s, but Mom had facial injuries which have altered her face, so I do not think the smile was as obviously my Mom’s. 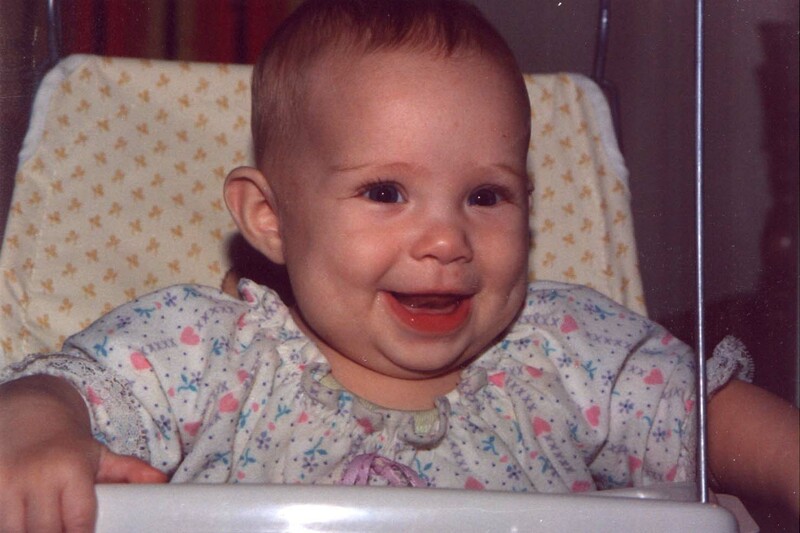 But the peaks in her lips when she gets a big smile, and the way her cheeks pull back (no dimple though, Amanda can claim that) are my Mom’s line. Now, venturing over to Amanda’s side of the family. Obviously the expressions and looks of her family are not so integrated into my being as to recognize nuances. I will let you judge for yourself whether you see some resemblances. 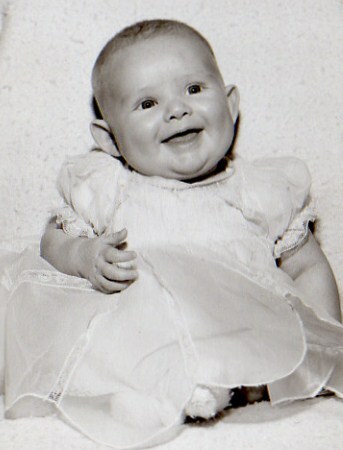 Here is a picture of Amanda’s Mom, Jill, at about 6 months. 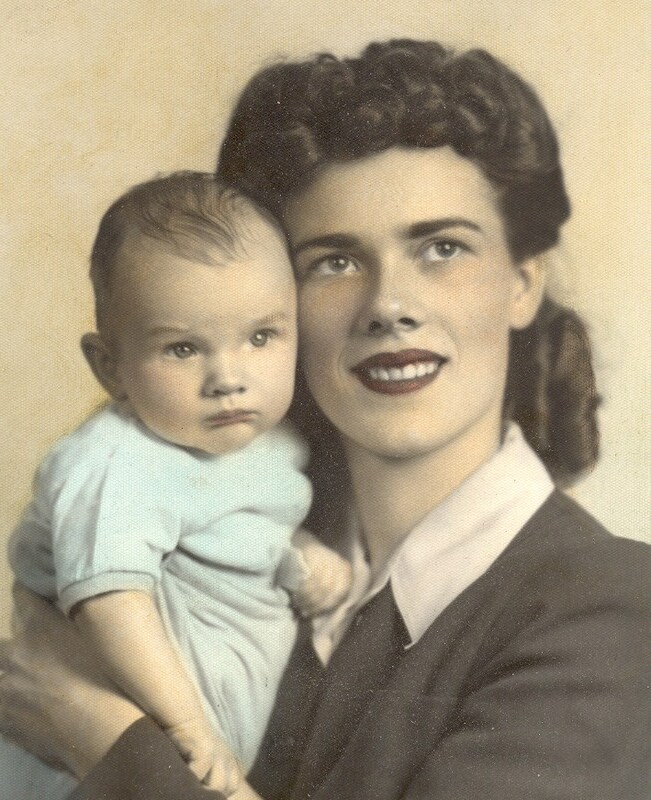 The overall cheeks and dimples are definitely a family trait to that side. 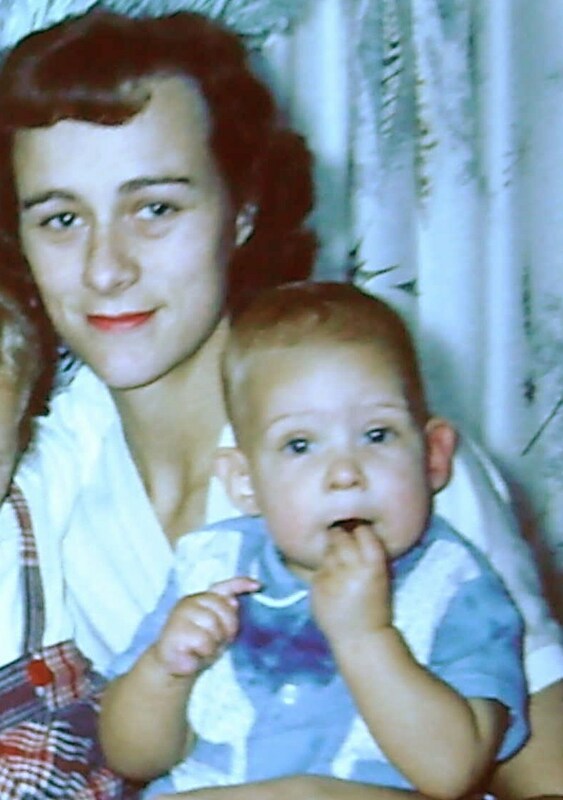 I even think the shape of the mouth, but like I mentioned, the use and form of the mouth while smiling take on forms I recognize from my Mom’s side. Lastly, a picture of Amanda’s Dad, Bryan. I think this gives us the origin of Aliza’s nose. Aliza’s ears definitely do not match these ones either. I think we also have the culprit for putting fingers in her mouth! Aliza does not care for her thumb, it is both index fingers in the side of her mouth or two fingers as demonstrated by her grandfather in this picture. It is interesting to think how much of our mannerisms are genetic or learned behaviour. I am sure that neither Amanda or I ever taught Aliza how to put her fingers in her mouth, so it is a curious line of thought. Well, that was fun. We will have to do something similar when Miss Aliza finds herself at one year old.